At the Carburetor Refactory, we use our over 35 years of collective experience in the industry to produce the best quality rebuilds in the business. Quality parts, superior experience, and attention to detail are the values and practices that have made us the San Francisco Bay Area's premier carburetor rebuilder since 1973. 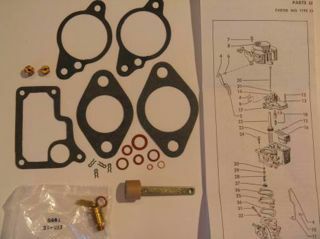 We sell and use only the highest quality rebuild kits available. This assures proper fit for each application, as well as qualified factory support in the development and production of previously unavailable kits. We carry kits for everything from a 1926 Nash to a 1988 Nissan, and almost everything in between. We rebuild and sell kits for Aisan, Carter, Ford (Motorcraft, Autolite), Hitachi, Holley, Marvel-Schebler, Mikuni, Nikki, Rochester, Solex, Stromberg, SU, Weber, Zenith, Zenith-Stromberg, Edelbrock, and more. Our rebuilds are second to none, with each carburetor undergoing a painstaking process of complete disassembly, inspection, thorough cleaning, machining, re assembly, and testing. All work is done in house, and each carburetor is rebuilt start to finish by the same technician. Unlike volume rebuilders, each carburetor is given personalized attention, allowing the technician to diagnose possible problems and remedy them. Our 35 year collection of several thousand carburetor cores provide the basis for otherwise unavailable, replacement parts. 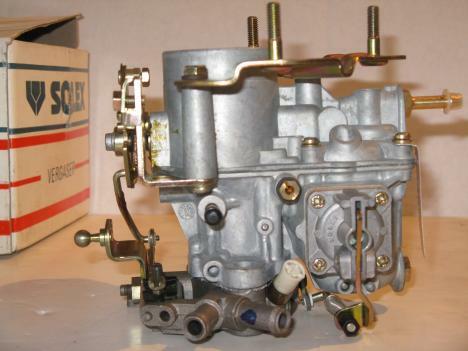 Additionally, since we generally rebuild your original carburetor, there are fewer issues with proper jetting and fitment, unlike carburetors bought exchange from a volume rebuilder. Cars, trucks, boats, motorcycles, tractors, generators, and more. Please browse our database of kits, email us at [email protected] or give us a call at 510-237-1277. We'll be happy to answer your questions and help you with any of your carburetor needs. Now offering new Carburetors for sale! Shop for one here. We also Carry Motorcycle Kits.